Note : Free For kids under 10 years of age. 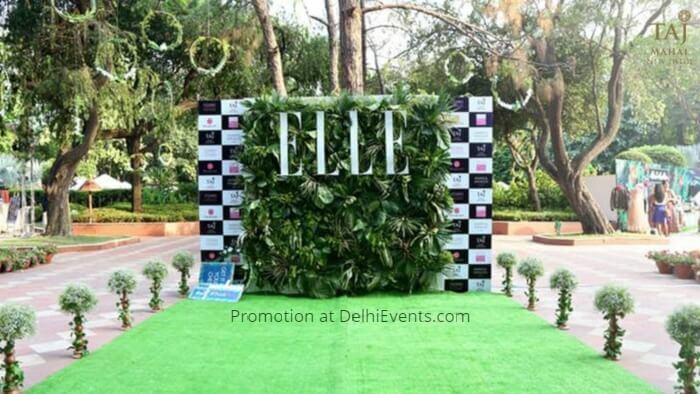 Event Description : The Elle Carnival is the annual Fundraising event for the ELLE Breast Cancer Campaign. The Carnival is a day full of Fashion and Fun - all for a good cause. It brings together the fashion industry to mobilize awareness and donations, and gives an opportunity to connect with more than 500 people per city, that include leaders and influencers of various fields. It is now in its 14th year and this year the theme is fun loving and exciting - HAPPY SUMMER. All proceeds from the Carnival go to the Ogaan Cancer Foundation, towards funding the cost of Breast Cancer treatments for underprivileged women. Over the years we have raised over INR 40 million for the cause. In the Sale section, we have a section of merchandise donated by over a hundred brands across Fashion and Beauty at huge discounts. The Silent Auction features products and offers from leading luxury brands in India and abroad. A Live Music act will begin at around 6:30 pm and guests can enjoy shopping, music and drinks.